One of the biggest challenges going from Etisalat to 9mobile has wrought is the need to rebuild the brand's YouTube audience from scratch. Usually, a person or brand can always edit their social media handle one way or the other. The most complicated usually involves contacting the platform directly to make the edit on behalf of the brand. However, this isn't the case for YouTube....which is a shame really. But there used to be way to do it way back, then when G+ came you could connect your channel to a G+ page & change the name. Oh gosh, just thinking about it is giving me a headache. Anyway, 9mobile tasked us to create an engagement idea that would get them more subscribers. If you know how social media works then you know that this is like one of the hardest things to do EVER. Get someone to sub your YouTube channel? That's no mean feat. However, as digital marketing professionals there is a way but to cut the long story short, all the requirements to make this happen weren't provided so we just went with the engagement KPI alone. We created an engagement idea which revolved around a Tag. Know what a tag is? It's an activity which involves one person touching another to get the game/activity to continue. Online, a tag is done by mentioning someone else. It can be in the form of a post, a video, an image, a podcast, literally anything. We also got influencers involved - Sisi Yemmie, The Delphinator and Fisayo Fosudo. 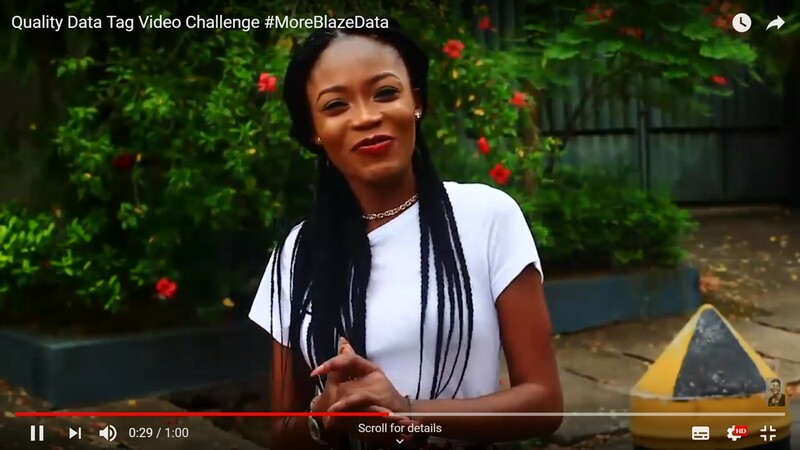 At the end of the challenge, I also created a video which showcased the influencers' videos alongside some videos from participants.